As part of our Fall 2019 semester, Williams-Mystic will make our first-ever journey to Alaska! This compelling, nine-day excursion will bring us to sites along Alaska’s southern coast, including Glacier Bay National Park and Sitka. In addition to experiencing Alaska’s breathtaking natural beauty, we will engage with a number of Alaska residents about what it means to live in a region so connected to the ocean during an era of rising seas. We fly to Seattle and travel along Elliott Bay, with a clear view of the mountain ranges meeting the waterfront. To examine the complexity of West Coast fisheries management issues, we visit Fishermen’s Terminal, home of America’s largest fishing fleet. We see the Port of Seattle from an insider’s perspective, examining marine transportation and coastal restoration up close. We then travel to the Columbia River, near Portland, to weave interconnections between massive geologic forces, salmon, and hydroelectric power. Returning to coastal Astoria, Oregon, we bunk aboard the Lightship Columbia at the Columbia River Maritime Museum and stand where Lewis and Clark first saw the Pacific in 1805. Continuing south along the coast, we are welcomed to Oregon State University’s Hatfield Marine Science Center, on Yaquina Bay, in Newport, Oregon. From this base, we continue to explore the history, science, and policy of the Pacific Northwest. We fly to San Francisco and first travel south to Monterey Bay, the site of the nation’s largest marine sanctuary, where we observe giant kelp forests and sea otters and visit the Monterey Bay Aquarium. We study the important historical events that shaped the history of California. We read from Richard Henry Dana Jr.’s Two Years Before the Mast and learn of the era of the great sardine industry which created Cannery Row, made famous in John Steinbeck’s novels. We explore the incredible diversity of intertidal marine life in the tide-pools of the Monterey Peninsula and experience the spectacular vistas of Elkhorn Slough National Estuarine Research Reserve. We then head north to visit San Francisco Bay, where we examine the maritime history of the bay from first Spanish sightings to the importance of the clipper ship, the Gold Rush era, and the development of the modern harbor. We visit a container ship terminal, and look at the marine life of the bay, consisting of a mixture of native and introduced species. We then head to our host facility, University of California’s Bodega Marine Laboratory (BML), 60 miles north of San Francisco. 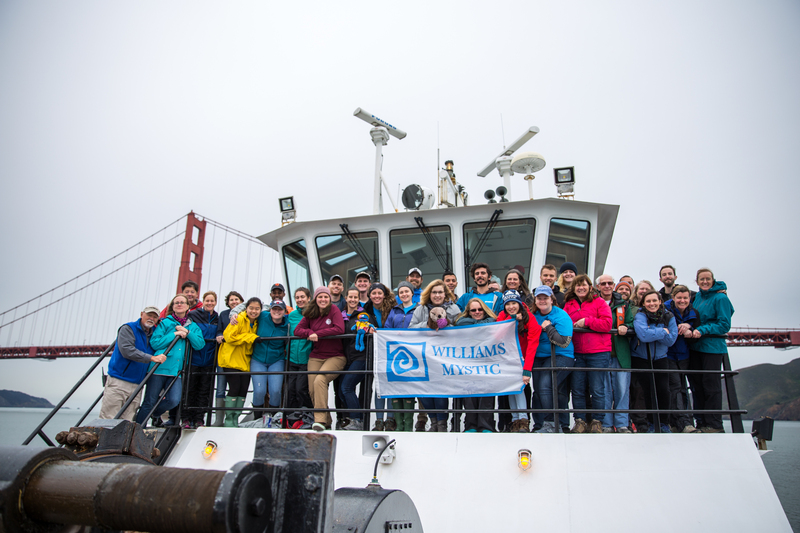 From BML we expand west to explore the Point Reyes National Seashore and the oyster farms of Tomales Bay. We journey north to visit the redwood forests and Fort Ross, a Russian fur and hide settlement of the early 19th century, before returning to San Francisco and flying back to the East Coast.